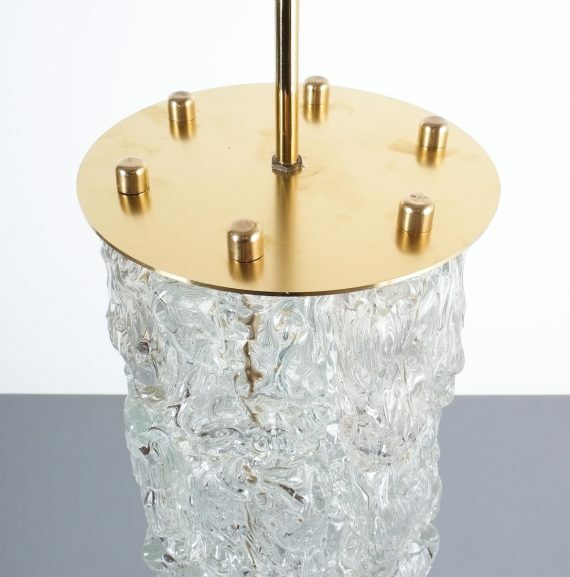 Barovier Toso. 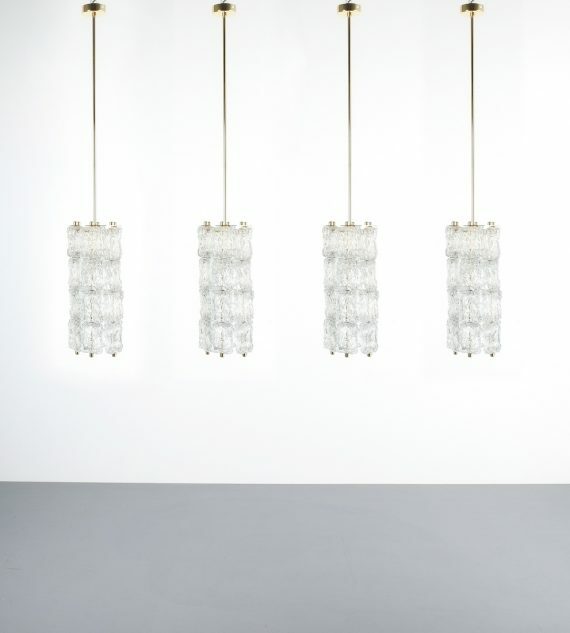 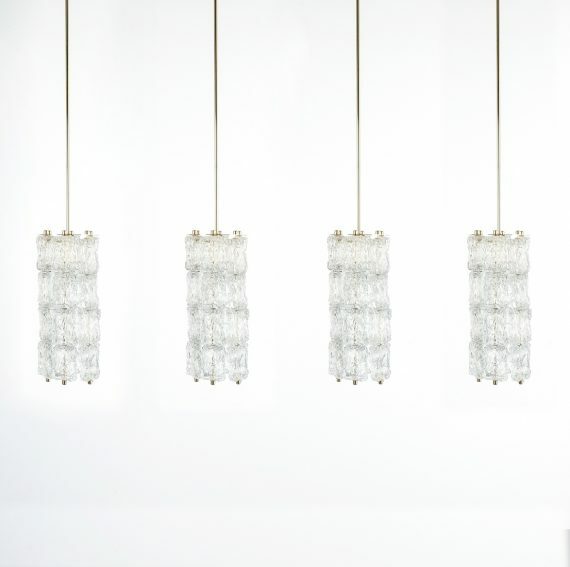 Set of four midcentury Murano glass pendant lamps by Barovier Toso, Italy. 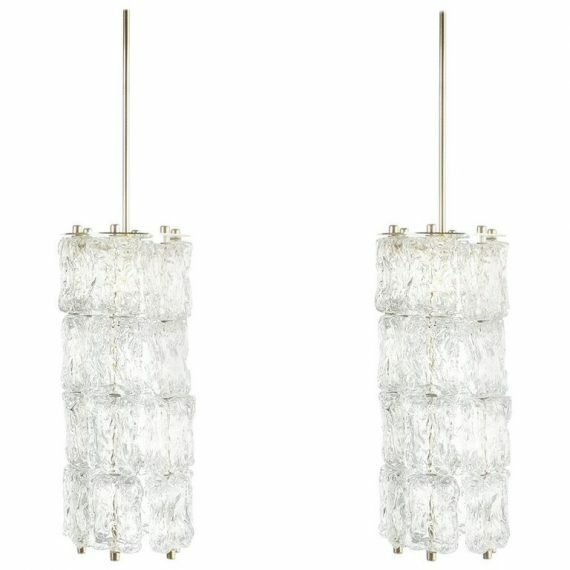 Sold and priced per piece. 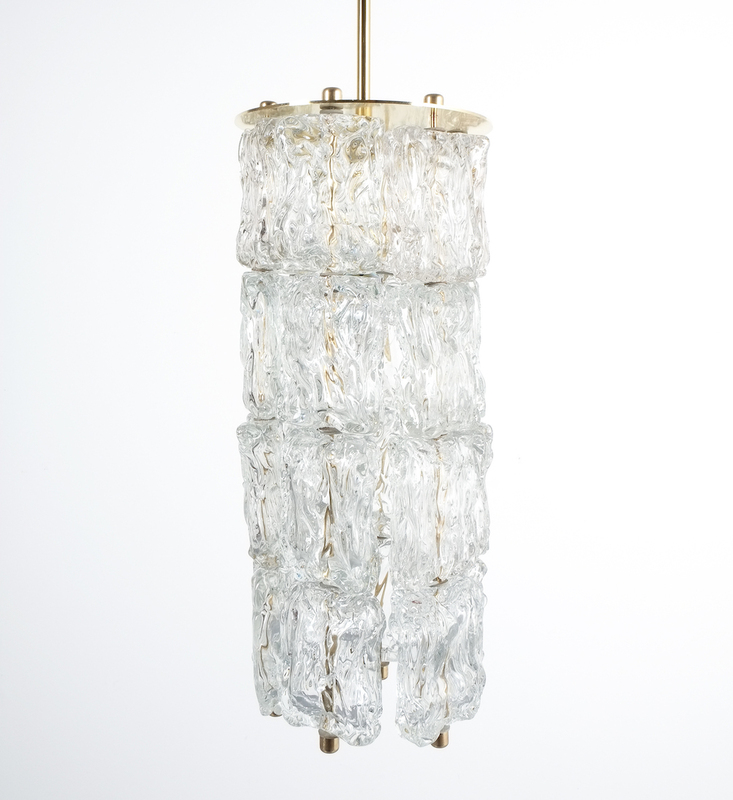 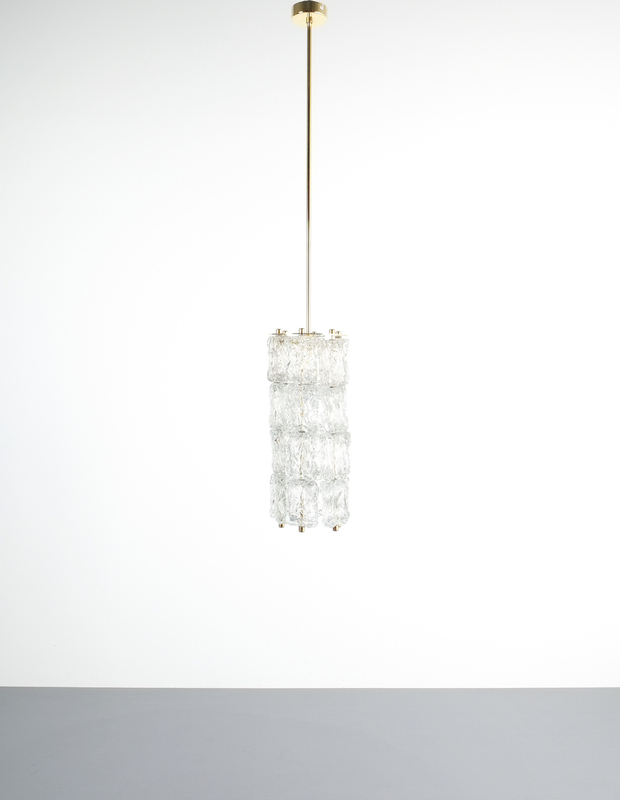 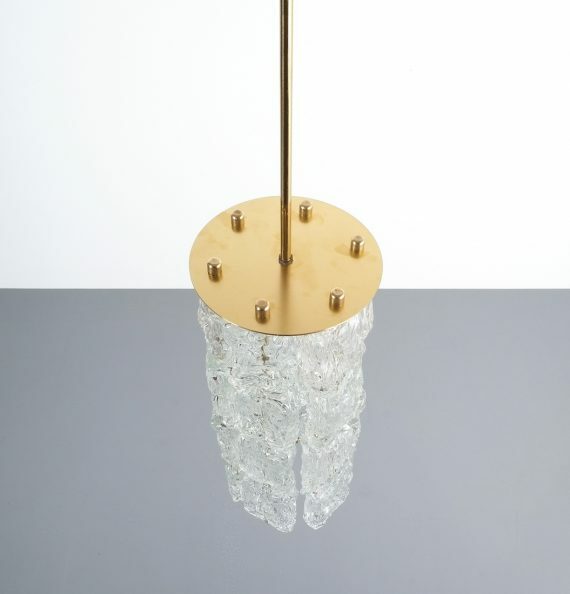 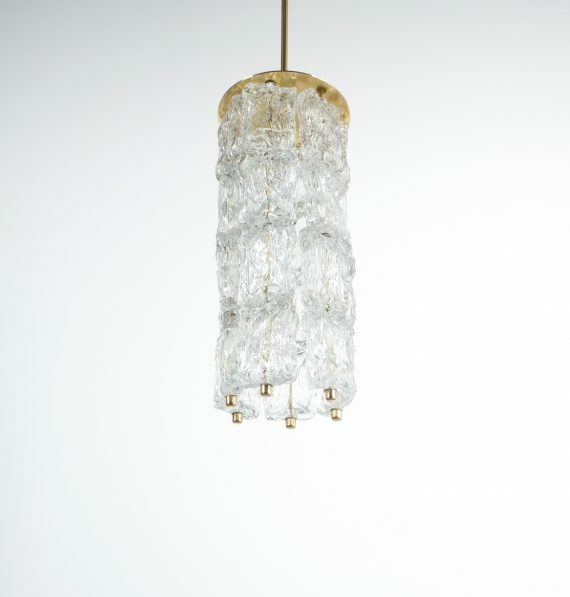 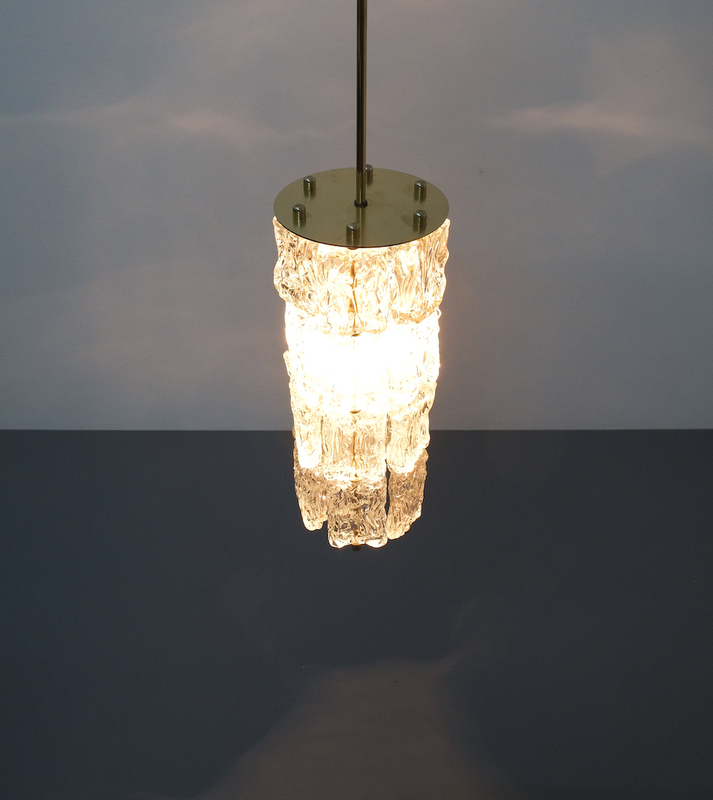 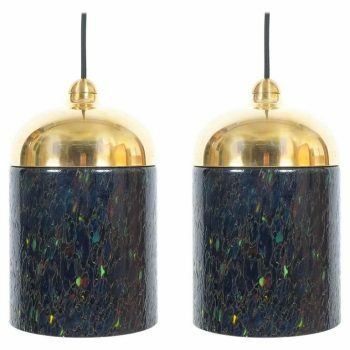 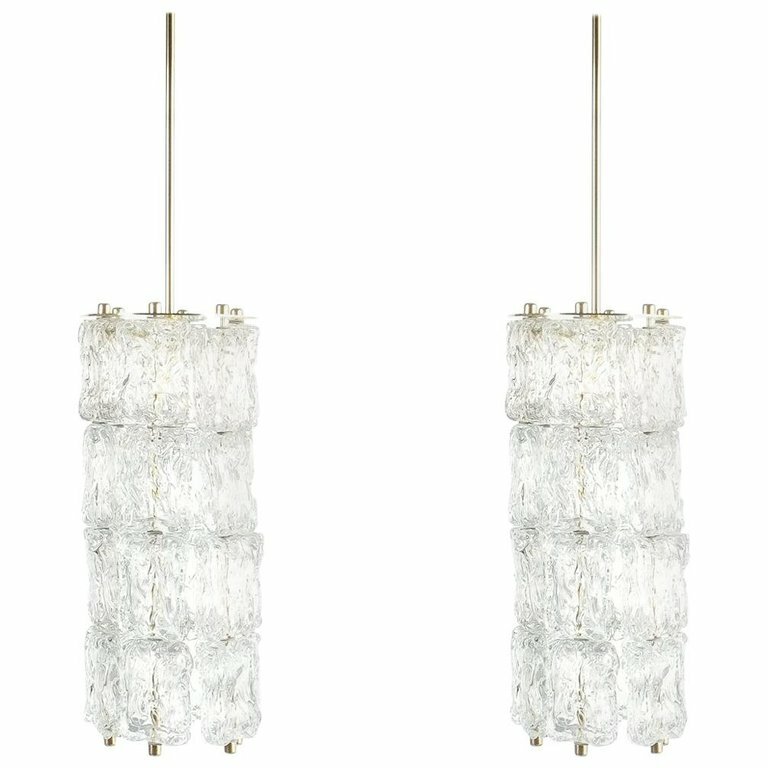 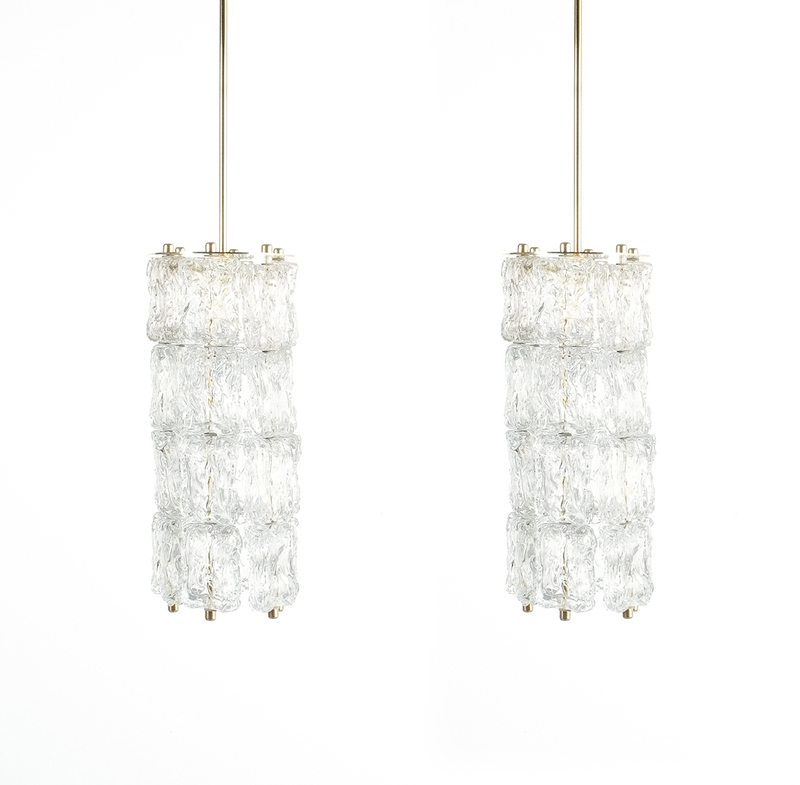 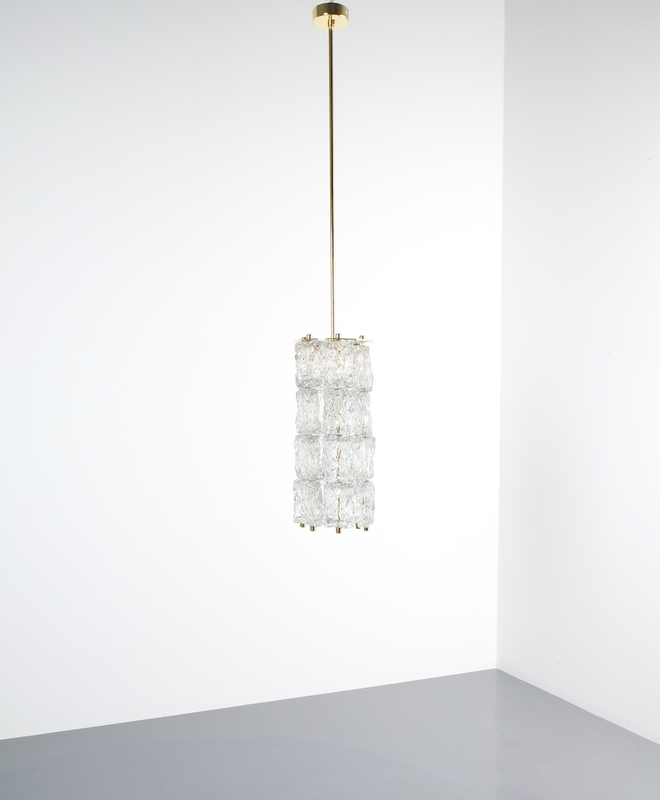 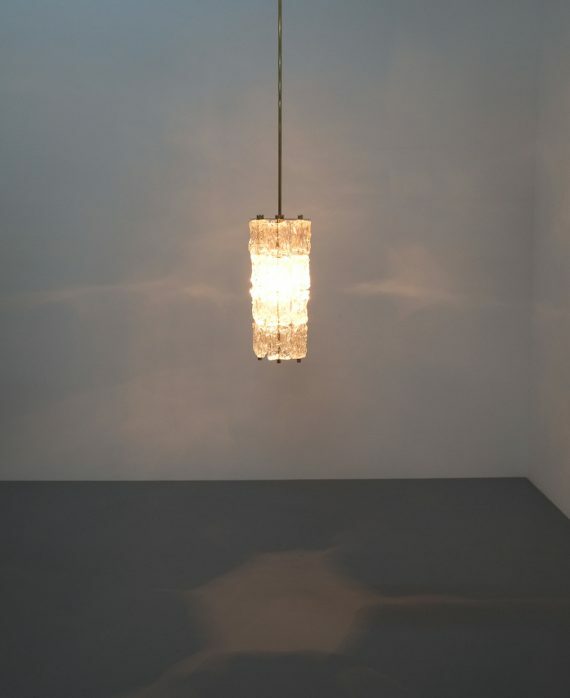 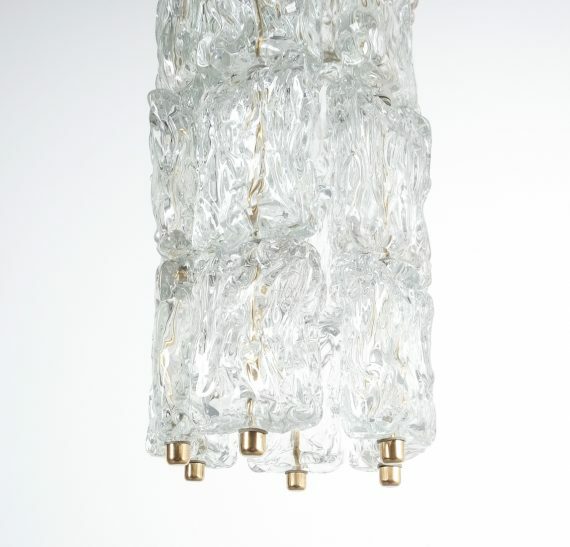 Very rich and beautiful refurbished pendant lights with clear textured glass suspending from a metal frame with gold patinated brass balls. 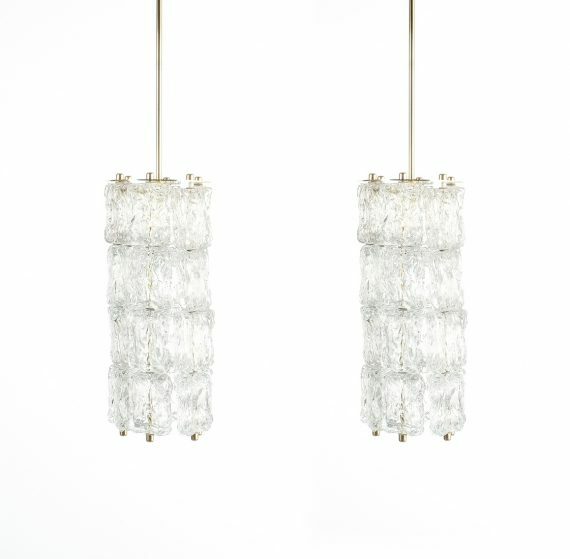 1 large bulbs with 100W max is illuminating these pieces beautifully. 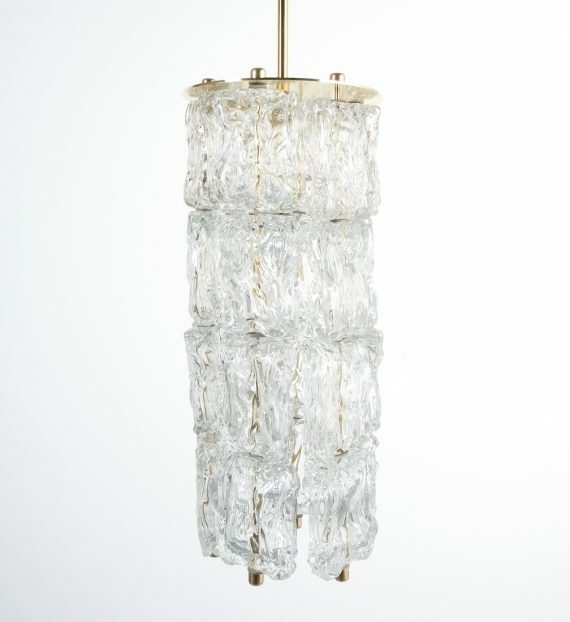 All four pieces are in very good, refurbished condition with new brass hardware and no chips to the glass. 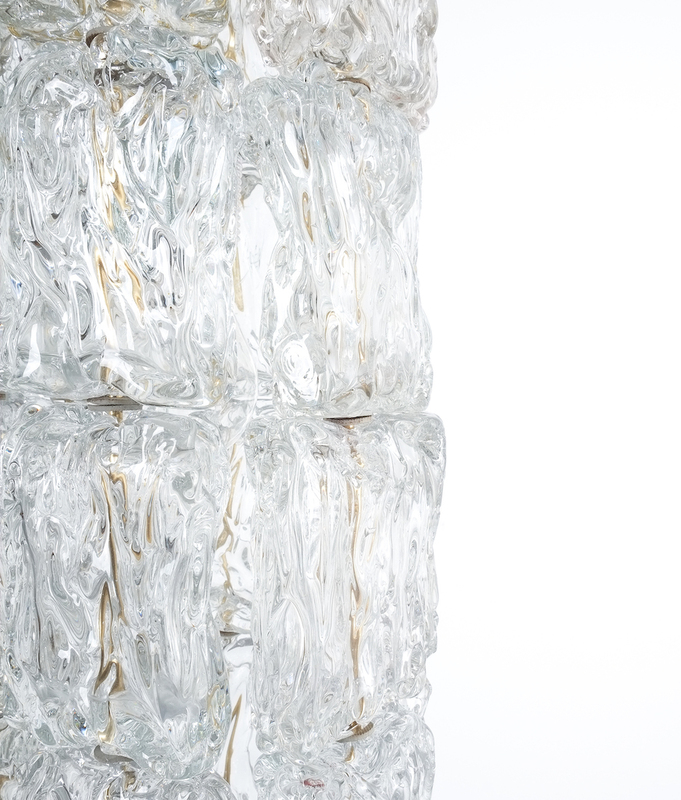 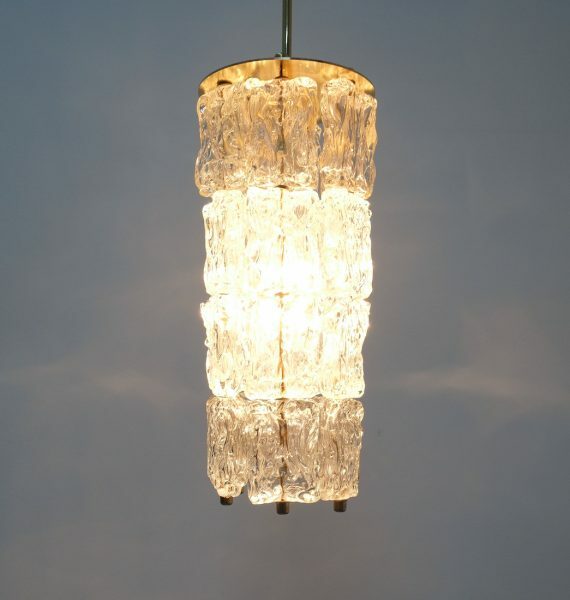 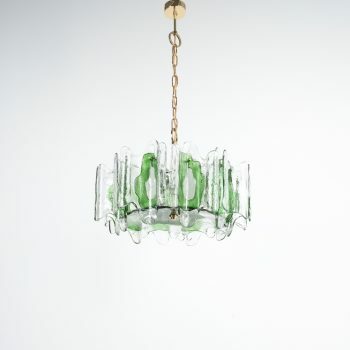 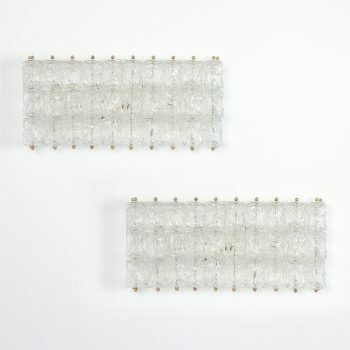 Dimensions per fixture glass body only are 7.1″ D x 17.32″ H.